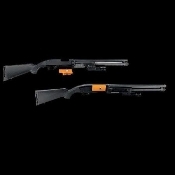 Shotgun Breech Vault by GunVault is an easy way to ensure a round can't be put in your shotgun unless you want it there. Breech Vault is easy to mount. CA DOJ approved. Includes everything you need and two keys.